On the 5th of August 2016, Flame and Song made her debut into the world. 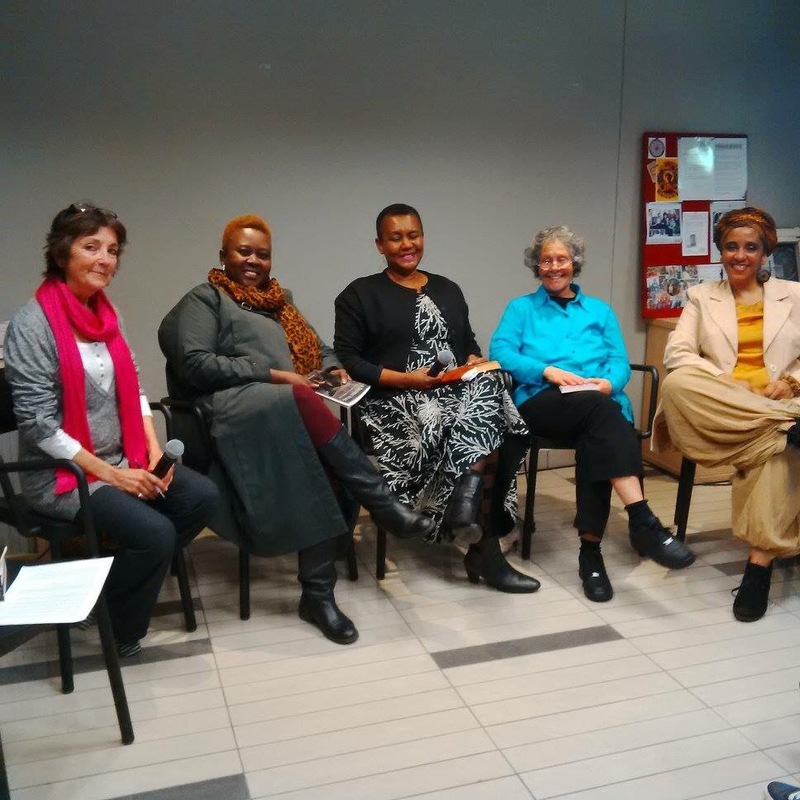 Woman Zone had invited me to speak on a panel with Malika Ndlovu, Ruth Carneson, Ntsiki Sigege and hosted by Nancy Richards. This was part of the Woman Zone’s contribution to the Artscape Woman’s Festival. The book was HOT off the press, literally! In fact I read from a copy that I ‘borrowed’ from the Clarke’s Books seller at the event!!! You see we really wanted to have the book at the festival, so we pushed VERY hard. And then Modjaji’s long loved printers and warehouse closed, and Colleen had to find new providers. She managed to pull it off and a few copies were printed just in time for the festival. Because of this I could only get the book on the afternoon of the 5th. The plan was that the Modjaji books intern (a student…) would meet me at UCT at 2 pm as I left a meeting, and she prepared to go for a lecture. Plans changed, the printers were running a little late, so we agreed to meet at Artscape. She was delayed at the printers, then went to the wrong place. Then she decided it was okay, she would deliver the next day and went home – lol!!!😡. So I phoned Colleen and told her what had happened. Took a deep breath. Asked the bookseller to lend me a copy and went in. We had a wonderful talk, and when we got out for tea my books had arrived.